Since I was young, I kept looking for the meanings and signs from the universe and discovered very quickly that number 22 was one of the numbers was a significant and important number to me. It was not weird for me at all, that I tattooed it on my back when I was 22 just to remember the seek and the discovery of all these angel-guidant numbers. Neither my parents nor my boyfriend at that time knew about it or even the tattoo itself, I just kept it as a surprise. My father was not that happy at that time and when I came to the house, he prefered that I covered it up especially at events he always loved to take me to. As his good girl who loved good food and could talk for hours with lots of strangers, I was the perfect company for him, not someone to bother about. But with a tattoo, that was a whole different story. It did not look good and he associated it with street gangs. Well dad, I was just into angel numbers. 22 is a powerful sign from your angels that you are on purpose in life and about to turn your dreams into reality. It is a master number in numerology and it is extremely powerful. So that number 22, was the bus to my house, my happy place in Amsterdam, the house where I felt so good and maybe the house where I discovered more of myself than in any other house. I was single and free and loved by friends while living there in that house. I loved spending time alone and walking outside in that neighbourhood. 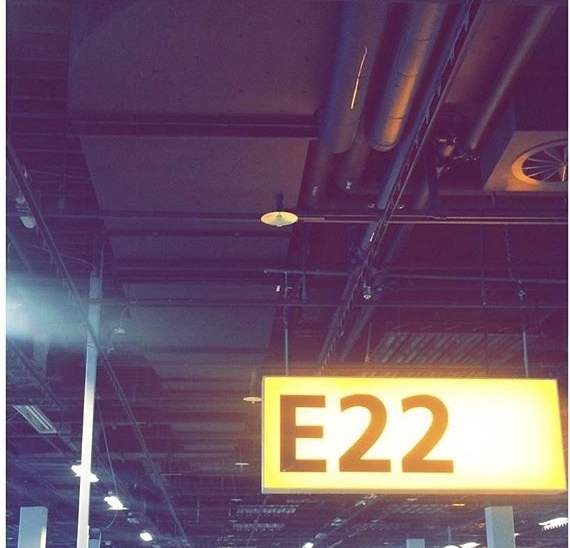 Number 22 was also the gate number to Bali where I found my new house and my new life. Still with lots of friends who I love in Amsterdam, but a new chapter for me myself alone. This island gave me love, joy, nature and health. I learned to become more aware of my emotions and it embraced the changes I wanted to make. I met my boyfriend on the 22nd and ever since then he gives me love I never felt before. It is like unconditional love, you know you will spend the rest of your life with that person and we both are so important for eachI met my boyfriend on the 22nd and ever since then he gives me love I never felt before. It is like unconditional love, you know you will spend the rest of your life with that person and we both are so important for eachothers developments in life. Lifting each other up and supporting one another always. Without him my change in life was totally different. And of course the fact that I was born the 22nd. I was born in the night with a huge V on my forehead, probably some complications. People where so sorry for my mom that she got such an ugly baby (yes people bitterly said that, however at the end I turned out just fine). Just to name a few events. Be aware of the numbers around you and do let me know what’s your special guidance number.